Debbie Atkins is a public relations professional with more than 25 years of communications and marketing experience, who has managed a variety of crisis issues. She is public relations manager at The Summit Group, a communications agency serving more than 100 clients across the country. The variety of social media channels are great for engaging and building a network of supporters. These same channels can also prove challenging in times of crisis. In developing effective strategies of communications on social media, one overarching question is: does this communication truthfully reflect who we are as an organization? Traditionally, it is best to be the first to tell your own bad news. In the new millennium of communications this may not always be possible, so you may be placed in reactionary mode. The same rules apply whether you are the one telling the news or you are reacting to it: you want to “speak” openly, honestly and with the level of transparency that builds trust in your organization. If you don’t know information or are unable to share information for legal reasons, say so, but let the public know what you can. It is just as important you “speak” with one voice, so people aren’t getting one story from one representative and another from someone else. Don’t neglect your internal audiences – staff, volunteers, clients, supporters — and help those passionate about your organization know where they can go to get accurate information and where to refer others. 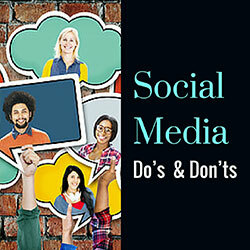 Put in place a social media policy that guides staffers in the best way to get and share information on their social media channels.Whether the audience is on Twitter or Facebook, let them know you will provide updates as soon as you know more – then do it. Social media has the power to reach many people quickly. You want to be a key driver of the conversation and a credible source of information as the representative of your organization. For a case in point, all you have to do is scan the Facebook posts of Boy Scouts of America during the summer of 2015, when the decision was made to lift the ban on gay leaders. The organization did not shy away from sharing stories regarding the national debate and helped drive the discussion. Since a crisis has the potential to subject your organization to significant public and media scrutiny, change perceptions and disrupt operations, it requires a specialized level of intervention. Having a core team in place to facilitate rapid decision-making is the best approach. The team can then assess the situation, recommend the best course of action, prepare designated leaders to communicate on behalf of the organization, and manage the communications. Frankly, you need a core team in place to manage all communications including social media. Monitoring the conversations on social media will allow you to understand perceptions and address misinformation. There are tools available – paid and free – that can help you do this. Replying to social media posts can be a way to quickly correct information and direct people using links to where they can go to get statements from your organization and updates on your main communication channel – whether a website, Facebook page or Twitter account. When the spending practices of Wounded Warrior Project were called into question in early 2016, the organization worked on social media to share the facts about its spending, even creating the hashtag #WWPFacts and posting a video with public documents. Keep in mind, everyone has opinions on social media and you should resist the temptation to respond to inflammatory comments. You can always private message people with concerns and address them individually or invite them to contact you directly. Haters are gonna hate. You should take the high road. Visuals and videos speak more than words on social media. Actions speak louder than words too – on any channel. We’ve all watched videos of horrifying incidents that go viral. It is important you show what your organization is doing to meet the crisis responsibly. Consider if there are appropriate photos to demonstrate the steps you are taking in the midst of the crisis. Can you share a video to show what you are doing to address the situation? Are there balanced articles about your organization’s handling of the crisis you can share? Be ready to respond to social media stories of people affected by the crisis and let them know how you can help. If you remain silent and don’t take part in the conversations happening, then you lose the opportunity to influence public opinion of your organization. Be sure your organization is clearly identified on social media, so there is no question who the information is coming from – transparency is key to sustaining or restoring the foundation of trust – on which any organization depends. Promote open, honest communication that builds trust. 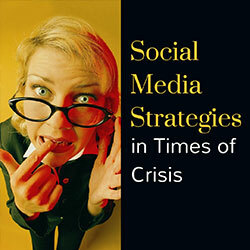 Use central channel to share information regarding crisis and steps you are taking to address it. Incorporate visuals and video, when possible, to fit the social media. Be silent – get out front and keep up with the pulse of social chatter. Forget your internal audience – give team members tools to advocate for you.